"Lilo & Stich" (2002), directed by Chris Sanders and Dean DeBlois from their own script and Sander's idea, is a bright spot among the Walt Disney Feature Animation movies of the early 2000s. 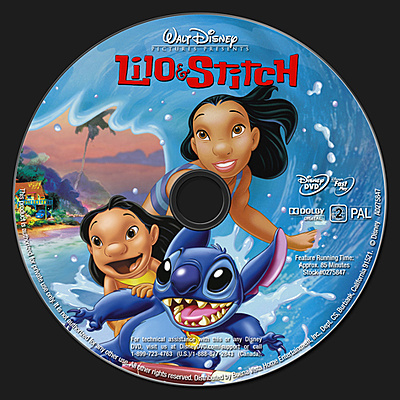 "Lilo & Stich" is unlike any Disney movie from the 1990s, almost of all of which were musicals, and "Lilo & Stich" did not appear to have an agenda like so many of the Disney movies released after 2000 ("Atlantis: The Lost Empire" and "Tangled," for instance, were crafted in an almost desperate attempt to release a Disney movie attractive to boys). 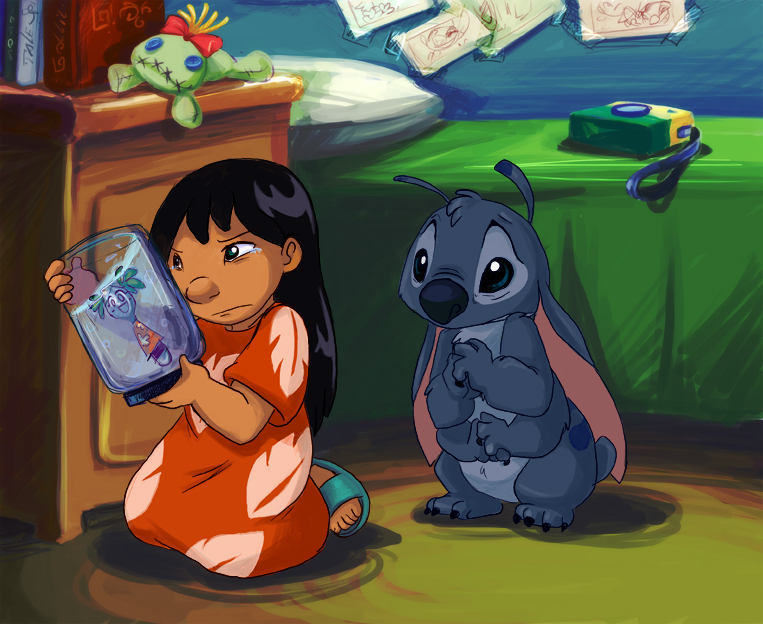 As a mark of its success, "Lilo & Stich" spawned a stream of sequels and television series. It is a relatively rare Disney movie in that it takes place in the present day, like "The Rescuers," The Rescuers Down Under," "Oliver & Company" and "101 Dalmations," and it was a "small" picture without high-profile voice stars. In many ways it is reminiscent of "Dumbo," also set in the present day and made on the cheap. The idea was an old one of Sanders from the 1980s that never had caught on, and setting it in Hawaii was a first for any animation film. On a planet far away from earth, Dr. Jumba Jookiba (David Ogden Stiers) has been doing illegal research and manufacturing. He is put on trial by the Galactic Federation for one of his creations, Experiment 626 (Chris Sanders), a small creature that has many unique and dangerous qualities. Jookiba's Experiment 626 is virtually indestructible, so it is sent into exile on a barren asteroid. Captain Gantu (Kevin Michael Richardson) is charged with taking Experiment 626 there, but the creature escapes on the way and disables Gantu's ship. Experiment 626 then steals a police cruiser and, surrounded, activates the cruiser's hyperdrive to a random set of coordinates. 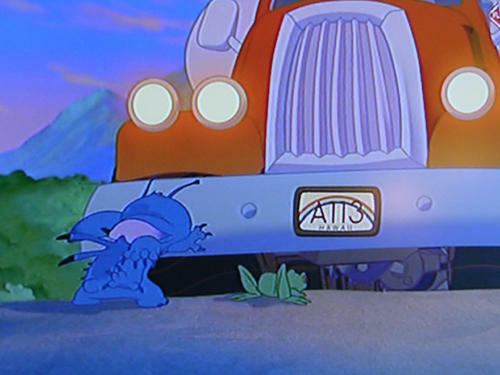 The cruiser arrives at planet Earth and lands on the Hawaiian Island of Kauai, where Experiment 626 disembarks and, disoriented, is promptly hit by a truck. 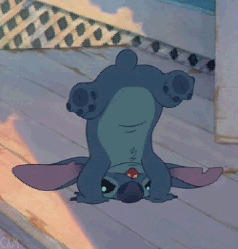 Experiment 626 then is taken to an animal shelter and assumed to be an Earth dog. Nani Pelekai (Tia Carrere) is an orphaned Hawaiian girl looking after her younger sister, Lilo (Daveigh Chase). Cobra Bubbles (Ving Rhames), a social worker, watches over Nani in case Nani cannot take adequate care of Lilo & he has to put Lilo into foster care, an idea completely rejected by Nani. 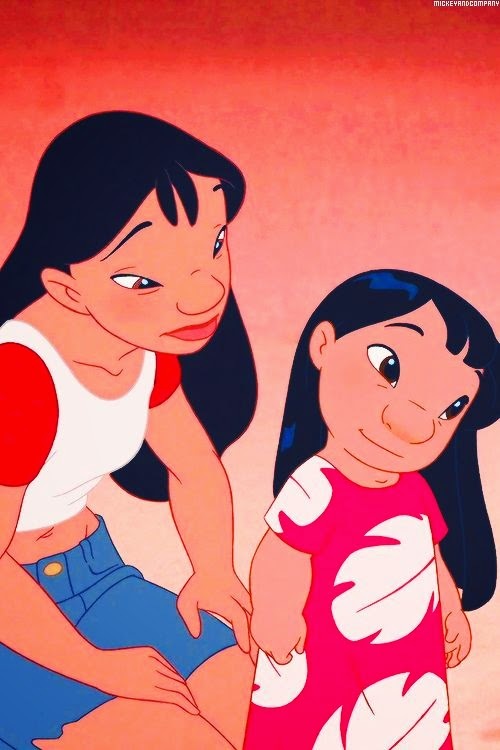 Lilo is teased at school and prays to be given a friend, so Nani decides that giving her a dog might make her happy. At the shelter, Lilo takes a liking to Experiment 626 despite the fact that Experiment 626 is very aggressive and does not act like other dogs. 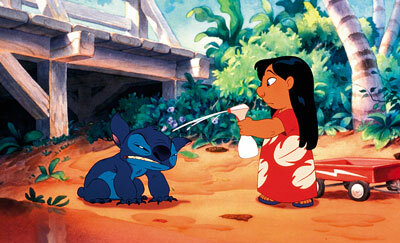 Lilo names Experiment 626 "Stich" and shows Stich Hawaii. Stich quickly learns that Hawaii is an island and becomes depressed because his molecules are too dense for him to swim, making escape impossible. He also finds out to his dismay that Jumba and Agent Pleakley (Kevin McDonald) are now on Earth to try to recapture him. Nani takes Lilo & Stich on job interviews, and Lilo takes various measures to tame Stich, including holding up Elvis Presley to him as a role model and reading him "The Ugly Duckling." Stich at times has to act aggressively in order to evade Jumba and Pleakley, frustrating Nani's attempts to get a job, and while Lilo tells Nani that Stich can talk, Nani doesn't believe her. David (Jason Scott Lee), a friend of Nani's, tries to cheer Nani up by inviting the family to go surfing. While Nani, Lilo & Stich are riding a wave, Jumba tries to grab Stich from underwater, causing Stich to appear to try to drown Lilo. Cobra sees the incident from shore and tells Nani that enough is enough, he is going to return in the morning to put Lilo in foster care. Stich, heartbroken, runs away with the "Ugly Duckling" book, which he mistakenly believes is about his family. Nani has to leave the next morning for a job interview, so she leaves Lilo at home to wait for Cobra. Stich, hiding in the nearby woods, has a confrontation with Jumba in which Stich learns his true nature. A chase ensues, with Jumba firing at Stich and Lilo calling Cobra for help. Nani and Cobra arrive to see that Jumba has destroyed the house. 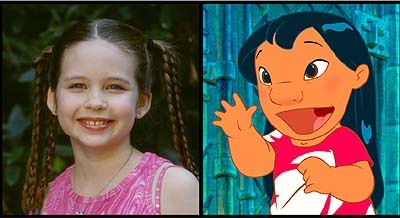 Lilo then runs off into the forest and finds Stich, who tells Lilo the truth about himself. 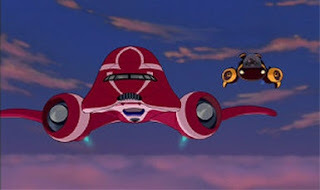 Captain Gantu then captures them and puts them into his spaceship, which Nani witnesses, but Stich manages to escape before the ship takes off. 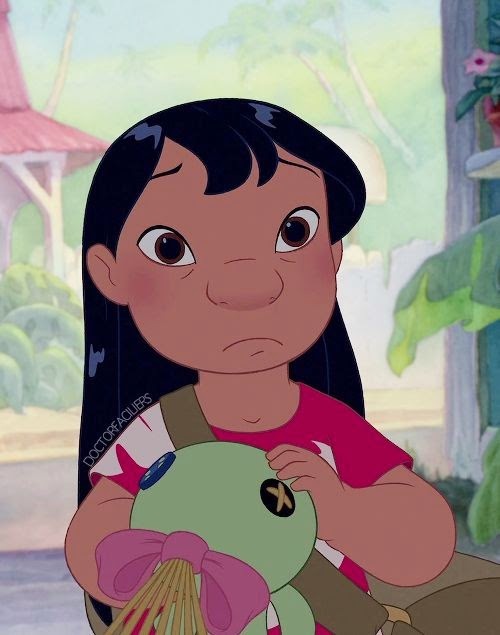 Nani, now realizing that Lilo was telling the truth about Stich talking, demands an explanation. 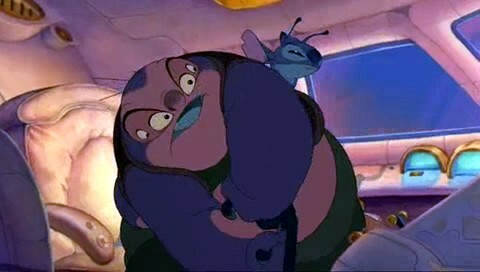 Jumba and Pleakley then show up to grab Stich, and tell Nani that they can retrieve Lilo for her, but Stich beats them to it by using Jumba's ship and dropping a gas tanker into a volcano. With Lilo, Stich and Nani reunited, the Grand Councilwoman (Zoe Caldwell) who sentenced Jumba originally arrives to take care of Stich personally. 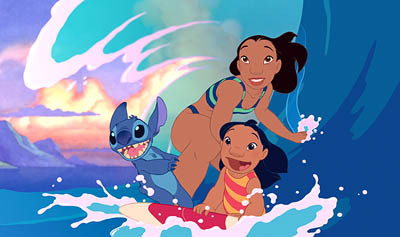 Once she sees that Lilo loves Stich and that Stich has learned to talk, the Councilwoman creates legal justification for leaving Stich in exile (along with failures Jumba and Pleakley) on Earth under the care of Lilo & Nani, with Cobra (who turns out to know the Councilwoman from Roswell, New Mexico) to watch over them all. Sanders completely took over the creation of "Lilo & Stich," a tactic which was somewhat in vogue then with Brad Bird and "The Iron Giant." The team isolated itself from Disney management, which didn't know much about what the "Lilo & "Stich" team was doing until "Lilo & Stich" went into full production. Sanders had various sketches of the character Stich from the 1980s, and that is what the "Lilo & Stich" animators worked from, not the usual Disney movie archetypes. It isn't dramatically difficult to come up with some off-the-wall science fiction tale involving cute Disney-type characters - what is difficult is getting Disney to give you carte blanche to wheel your wacky little tale into full production with barely any review along the way. Sanders deserves all the credit in the world for achieving that, and Disney completely lucked out that the public bought the concept at the box office (unlike Warner Bros. with Brad Bird's "The Iron Giant," which disappointed at the box office). 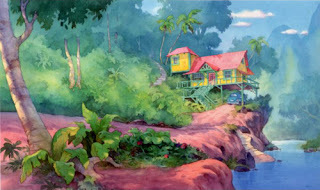 The animation of "Lilo & Stich" has a special, almost dream-like quality because Sanders and DeBlois used watercolor background paintings, something that hadn't been done since the '40 for cost reasons. That is just another indication of how little control Disney was exercising over its projects (and how little cost-cutting mattered) at that time after a decade of huge animation hits. Nothing wrong with that, but it could lead to problems, as with the troubled "The Emperor's New Groove." 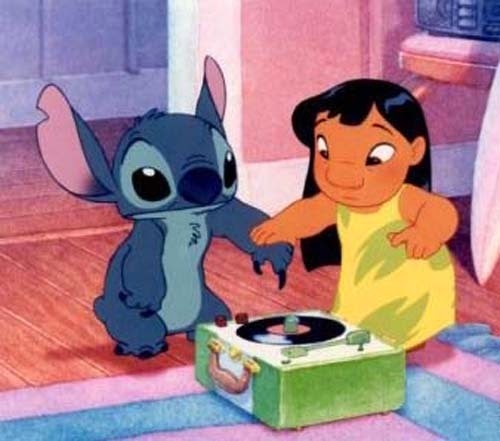 The soundtrack of "Lilo & Stich" is loaded with Elvis Presley hits and Hawaiian-themed tunes and did respectably on the charts, about as well as Alan Menken's soundtrack for "The Hunchback of Notre Dame," for example. The Hawaiian theme resonates throughout this Disney movie, as both Tia Carerre and Jason Scott Lee are from Hawaii and contributed to making the dialogue locally authentic. 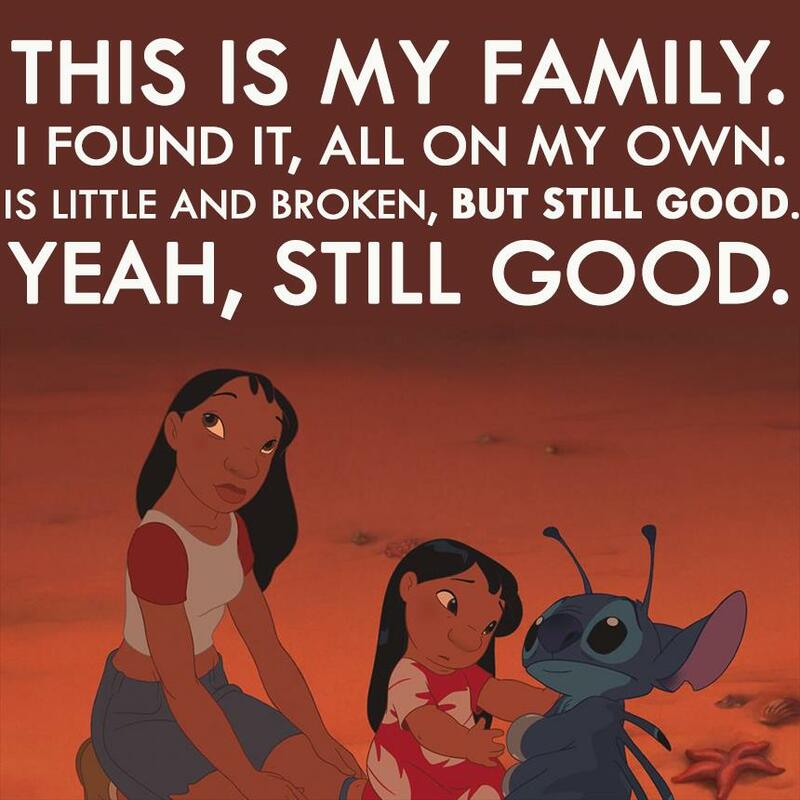 The Hawaiian concept of "Ohana" (which essentially means brotherhood) is emphasized, with the concept being stretched a bit but enhancing the feel-good nature of "Lilo & Stich." 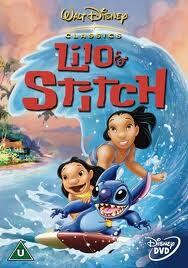 It is impossible to argue with success, and "Lilo & Stich" succeeded beyond anyone's expectation. It was nominated for Best Animated Feature but lost the Academy Award to Studio Ghibli's "Spirited Away." From a budget estimated at $80 million, "Lilo & Stich" returned $273 million worldwide, making it a huge hit and justifying every bit of the confidence that Disney placed in Sanders and DeBlois. After milking the success of "Lilo & Stich" for five years, Sanders and DeBlois ultimately left Disney for DreamWorks and came up with "How to Train Your Dragon," showing that "Lilo & Stich" was no fluke and they truly are one of great current directing teams. "Lilo & Stich" is a terrific little Disney movie with an eccentric edge, and the television series, sequels and other spin-offs (including a Japanese tv series) are loads of fun. The names "Lilo" and "Stich" entered the lexicon with this Disney movie, and Chris Sanders must smile whenever he hears Lindsay Lohan's media nickname, "Lilo," it is like free advertising. The two-disc "Big Wave Edition" first released in 2009 includes lots of extra features and is the way to go, since there is no Blu-ray release as of this writing. 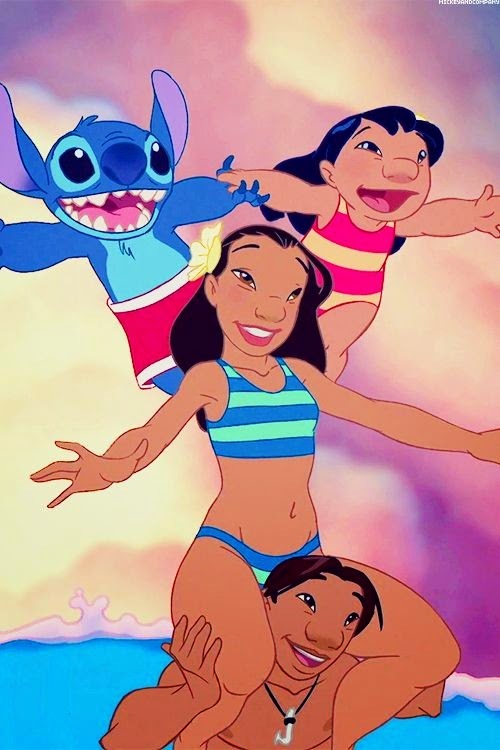 The characters are very sympathetic, and "Lilo & Stich" is not just for little kids, but for big ones as well. "Lilo & Stich" is a great family Disney movie that is very enjoyable if you just sit back and don't think about it too much. The fun "Lilo & Stich" trailers that parody "Beauty and the Beast," "Aladdin," "The Little Mermaid" and "The Lion King" are in the video below. The Lilo & Stitch 2-Movie Collection is out in a Blu-ray Combo Pack as of June 11, 2013.